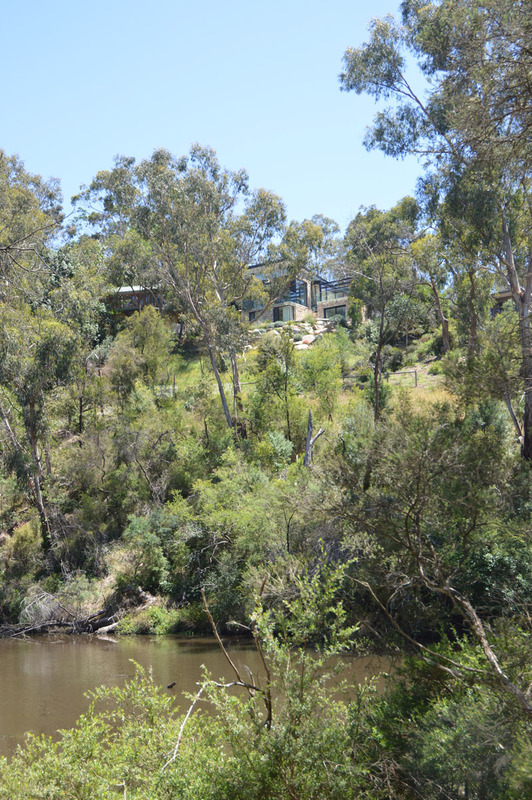 A lovely house is located above a river with a view of the bush lands. The location and the surrounding of a home have a huge impact to the overall look of the space. This would also make a house more beautiful as well because we know how nature could have an amazing impact to a house. A lovely view from a house is not new to us because we have seen this in some homes that we have featured in Home Design Lover. Today, we will show you another house that is set in a natural environment that turned out really breathtaking! A house that is made of stone and steel built above a river is designed by Alexandra Buchanan Architecture. 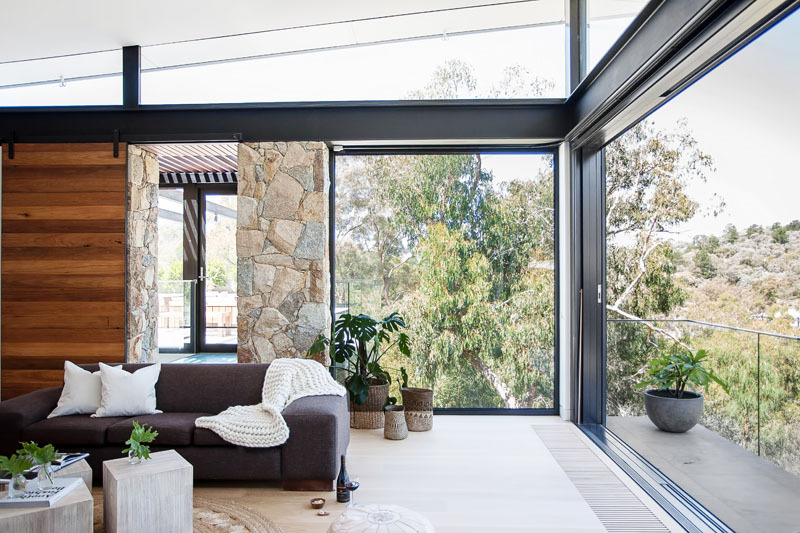 The home is surrounded by bush land, and is perched above the Yarra River in Victoria, Australia. Just imagine how cool it would be to actually live above a river with a view of all the trees and bushes around you! 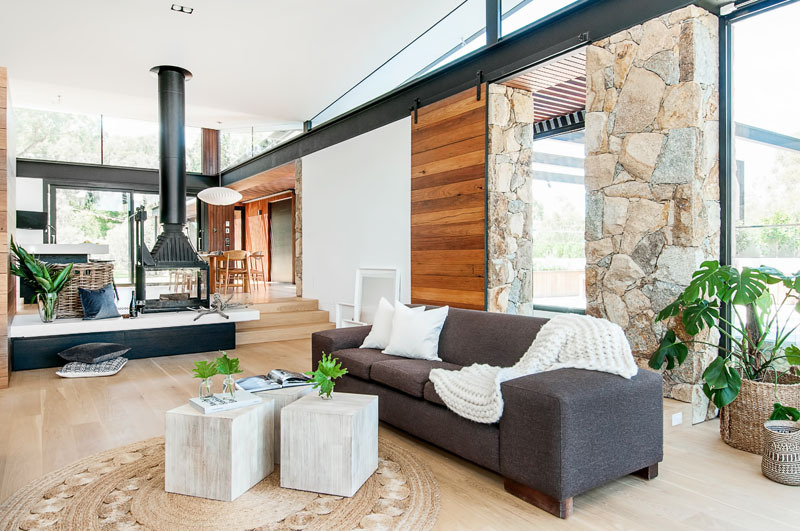 But what made it even cooler is the design of the house which is elevated which has a contemporary feel with a subtle industrial and Scandinavian aura. Once you see the look of this house, especially the interior, you will love it even more! Unique feature: A beautiful house located above a river which features a combination of stone, wood and glass. This is the outdoor space just outside the interior living areas which has built-in benches providing additional seating for guests. It has a wooden bench and planters as well as a wooden dining set. Stone, wood and steel have been used on the exterior of the house which made it look really beautiful. The design of the roof varies from a butterfly style to a shed type. The house also has a green lawn in it which complements with the stone walls that can be seen around the house. You can clearly see here the combination of stones and glass. Notice that glass being attached to a stone wall. You can also see here a bedroom which can be accessed through sliding glass doors and could directly lead to the outdoor space. The interior made use of colors that are light and easy to the eyes creating a cozy and inviting space for the kitchen and dining areas and also for the living room. 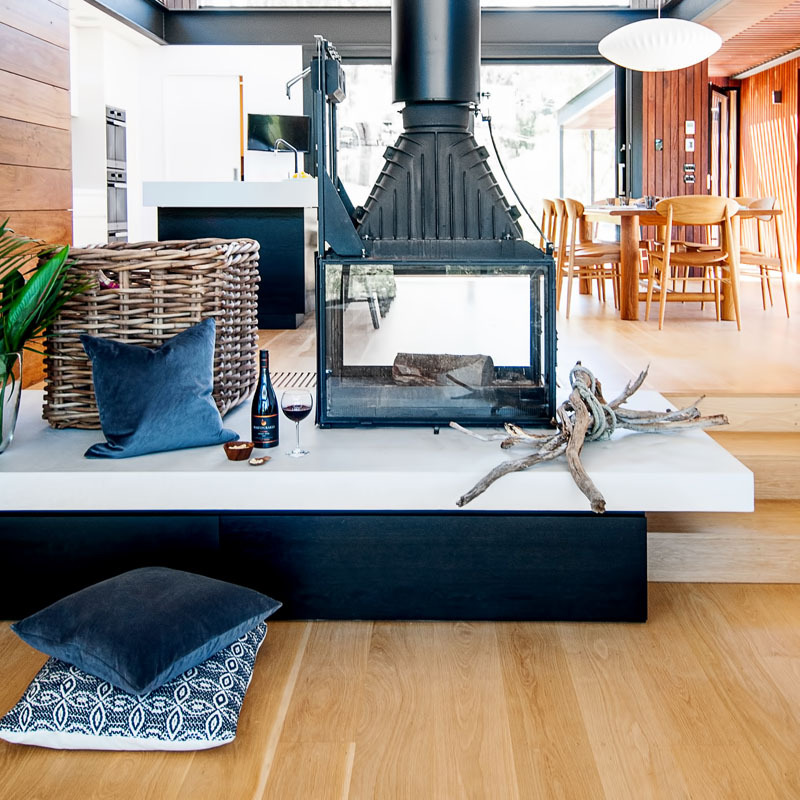 It has a subtle industrial look because of the black steel beams and that fireplace. 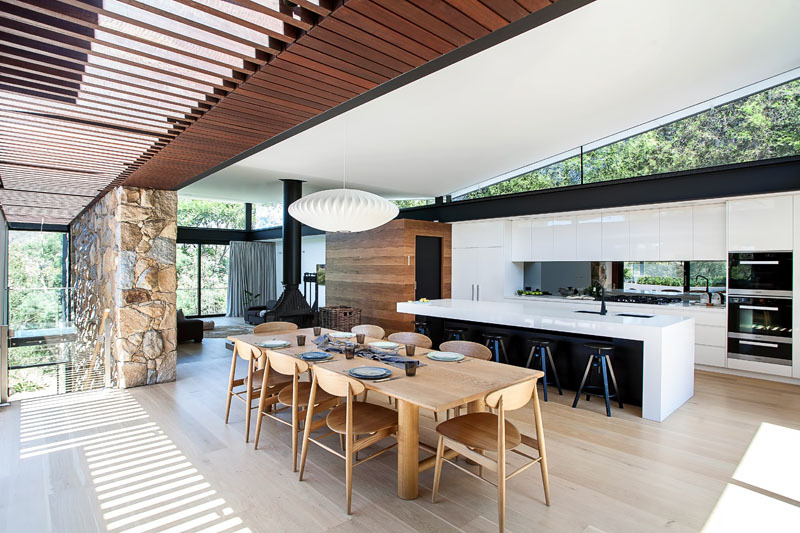 Inside the house is a large open plan kitchen and dining area that are filled with light because of the windows around it as well as the sliding glass doors. Notice how spacious this is! 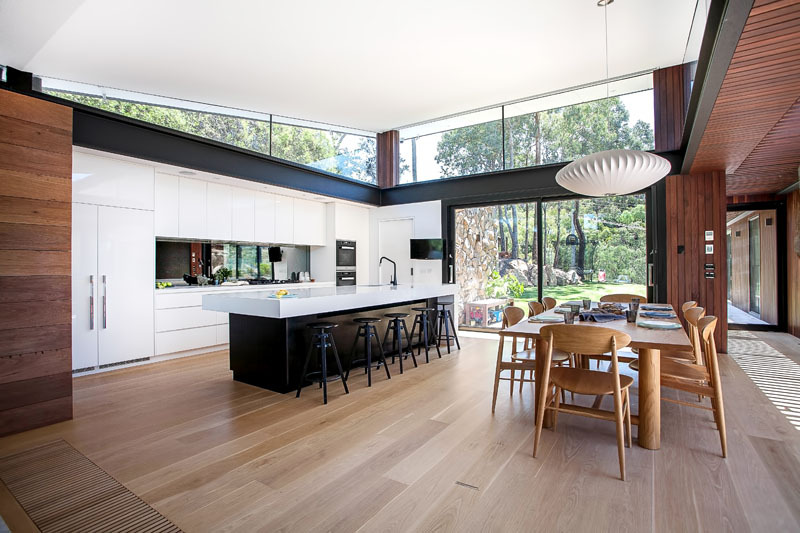 Seen here is the white and black kitchen that has a large island with space for five stools. Notice how nice the colors in the space look from the kitchen to the wooden dining set as well as the colors from the stones. 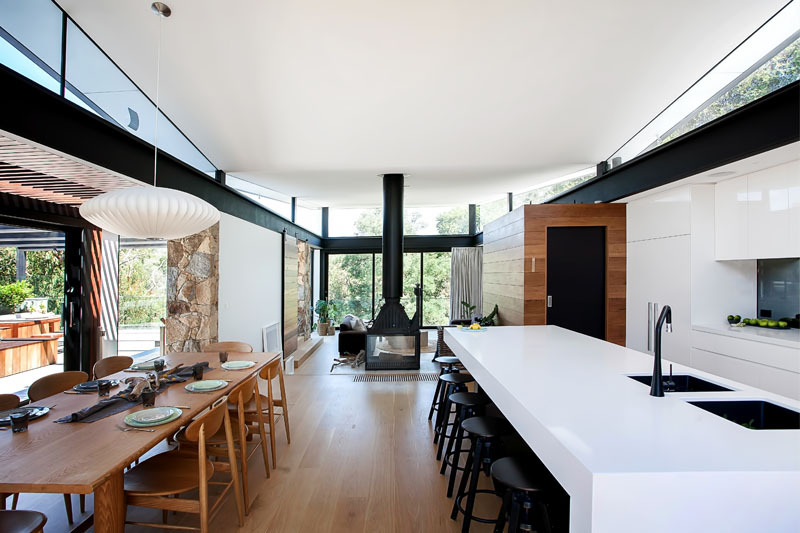 The house has a see-through fireplace that provides separation between the kitchen/dining area and the living room. Seen here are blue throw pillows and a basket just near the fireplace area, adding beauty to it. And you can actually sit in this spot to drink some wine too. The kitchen and the dining area are stepped up from the living space which is sunken because of this design. Sometimes, it is indeed a good idea to have different levels in the house. What noticeable feature in the house are the large wooden barn-style doors that open up to the outdoor spaces. Who would expect that barn doors can be seen in this area? At the end of the living room are sliding doors that open up to a small balcony. 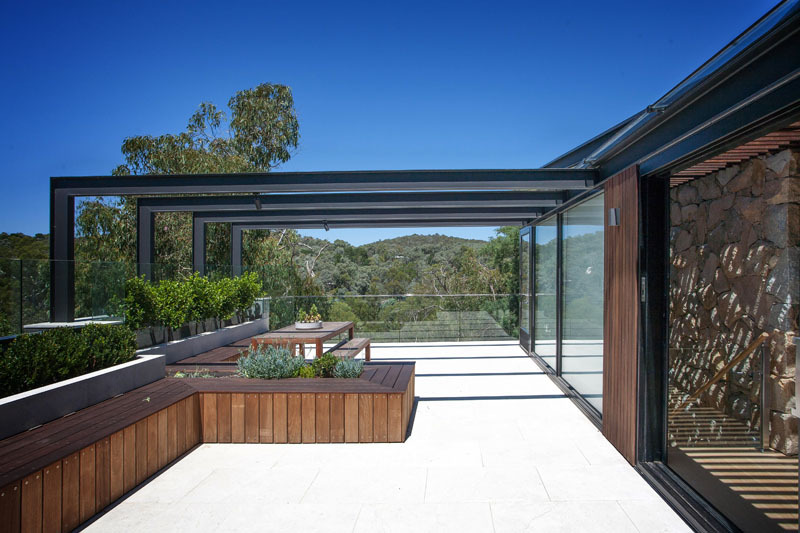 This is a perfect way for letting the breeze flow through the space and to enjoy the views of the bush land as well. It would even be nice to drag a chair in there and read a book! 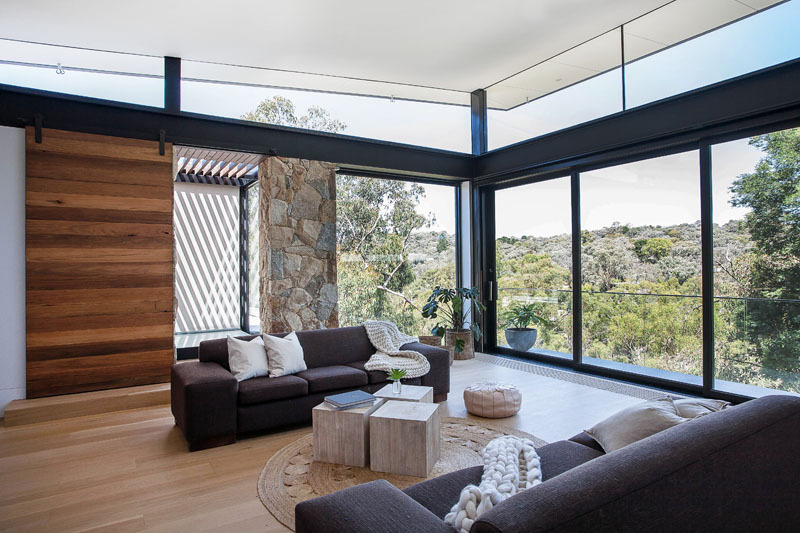 Large windows are used around the house which provides amazing views of the surrounding Australian bush land. The design of the area is already stunning but the views from it make it look a lot better. 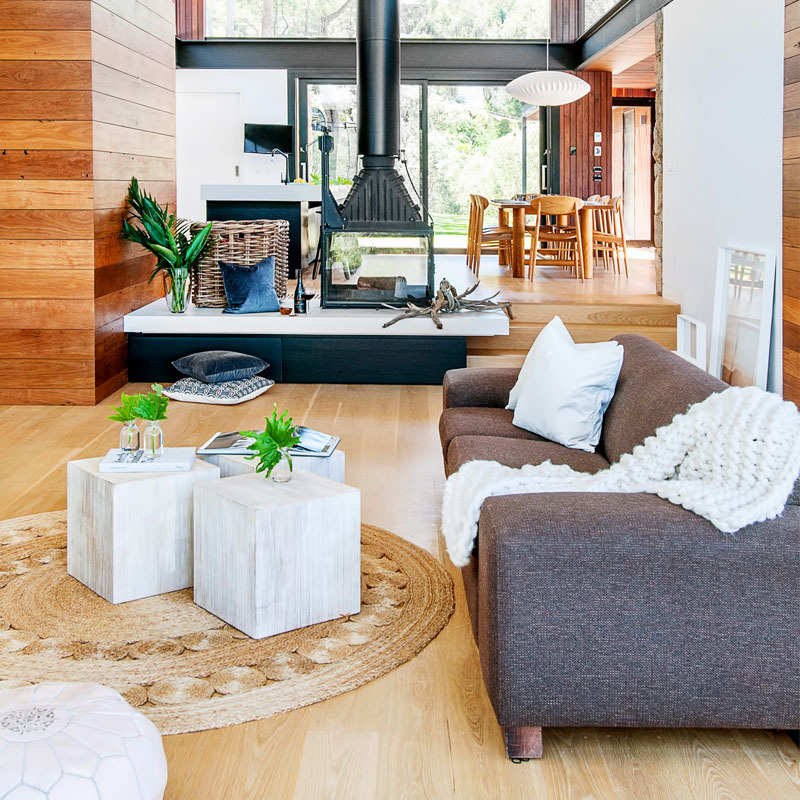 This look of the living room has a Scandinavian touch in it with the use of wooden tables, plants on glass bottles and other features. I actually like how this space turned out! The home has a nursery with a silver and white motif. Notice that it has striped painted ceiling and a glittery silver wall. It also has a large window with drapes to allow natural light into the space. 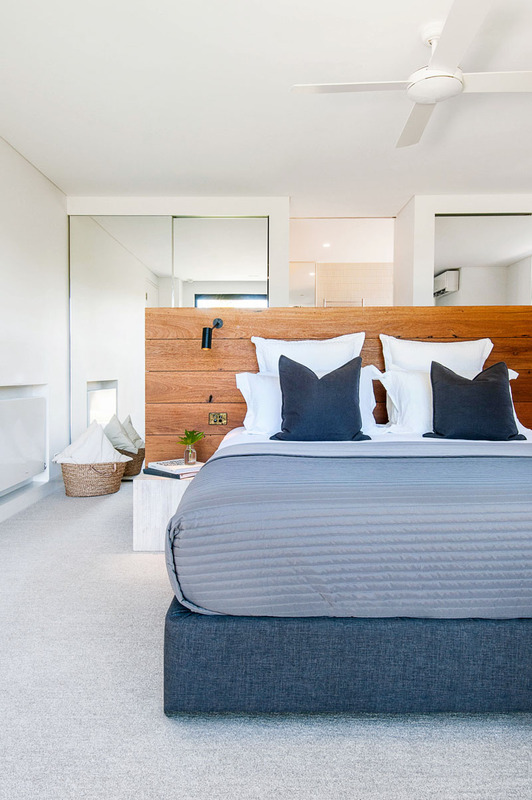 In the master bedroom, it has a bed that is centrally placed with a wooden headboard. It has a black reading lamp on the headboard which would immediately draw one’s attention. 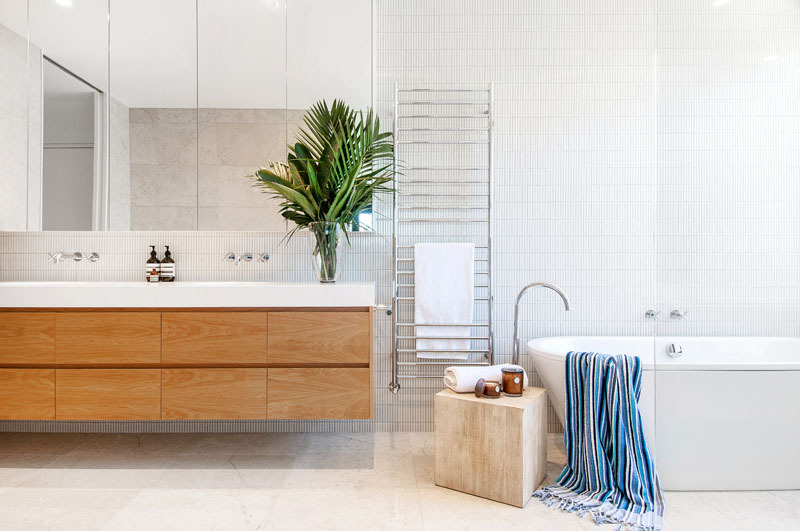 The bathroom of the house has the same relaxing feel because of its light and natural palette. Notice that it used wood for the cabinet of the vanity. I like that wooden ottoman in the bathroom which gives it a spa feel. 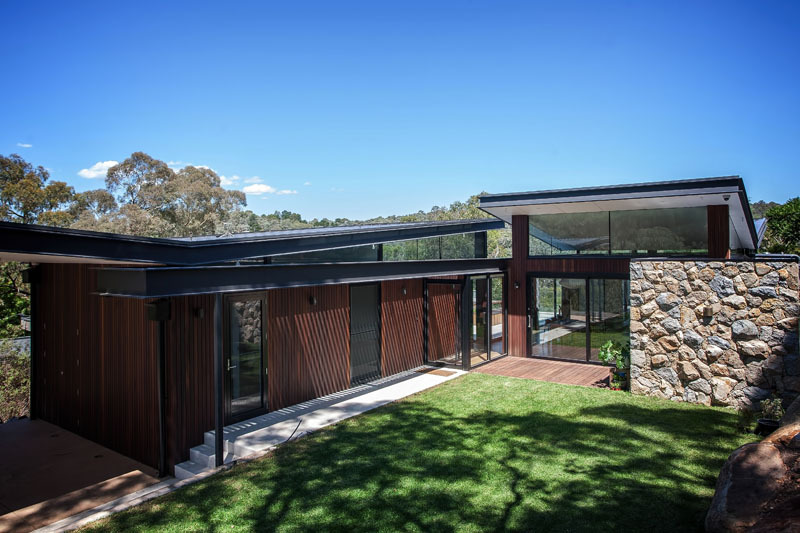 In this image, you can see how much the house is truly surrounded by bush land which actually adds appeal to the entire area. Homes on a river are actually stunning just like those on hills which appears like they are on a pedestal being lifted from the ground. 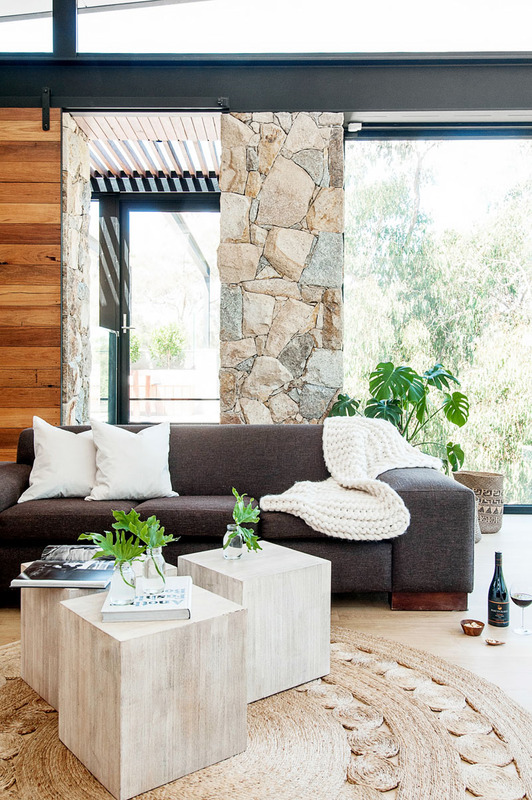 It may appear challenging to work on homes on locations like this but it can actually be done with the bright minds of designers like Alexandra Buchanan Architecture who worked on this house. The view from the house is very breathtaking which makes it more beautiful too. 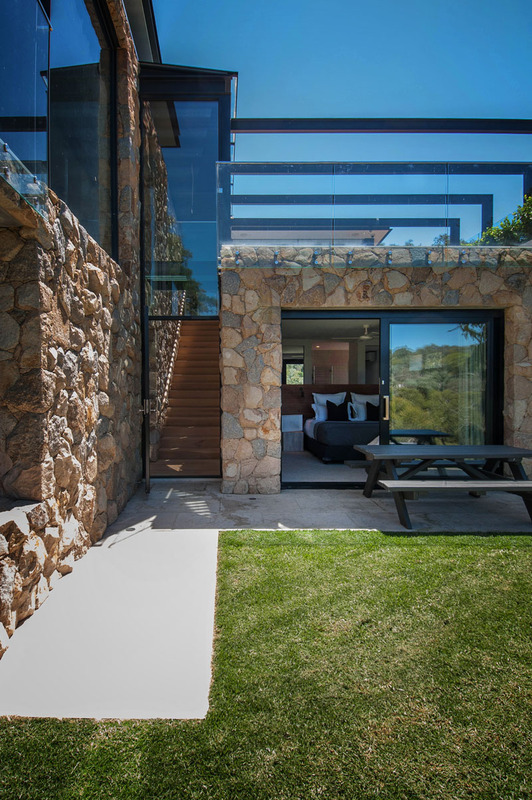 You can also see that there is a mix of natural materials used in the house from wood to stone. I like the way the interior is furnished by the owners using wooden furniture as well as comfy seating. And another thing that made the interior really refreshing are the plants inside the house. How about you, what is your opinion about the house?